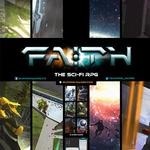 FAITH is a Spanish Science Fiction RPG by company Burning Games. FAITH, unlike other RPGs, comes in a box with tons of cards and tokens. Nice looking too! In FAITH, the universe has been connected by a network of wormholes that have thousands of exits to just a many solar systems and planets and five races are playable, each one with their traits and differences. A lot of thought has gone into this game, including a different character sheet and a mechanics system that uses a hand of cards instead of dice. In this podcast episode I take a look at the game and review the components, system and more.